The lathe power feed works fine. However, I hate having to oil the gears and the mess and noise. 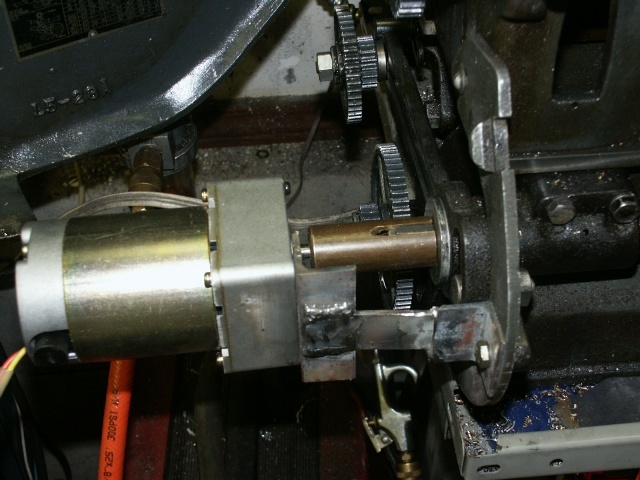 Some of my intermediate gears were not cut that well and make noise. I decided to use a separate power feed. The feed consists of a 120 RPM DC gear motor and and brass adapter to fit the end of the feed screw. Was tempted to mount the motor on the cover but don't want to drill a set of holes in it. The adapter is some 1" brass. I ended up cutting a slot for the woodruff key. I glued the key in with a bit of locktite as I did not like it falling out when I changed gears. A set screw would probably work better if the key was removed. I initially just made an adapter to fit the threaded end of the shaft. I found using a manual tap, the threads ended up crooked. The bolt is 1/2", a bit too small for any of my threading tools. A mounting bracket was made from some 1" angle iron. 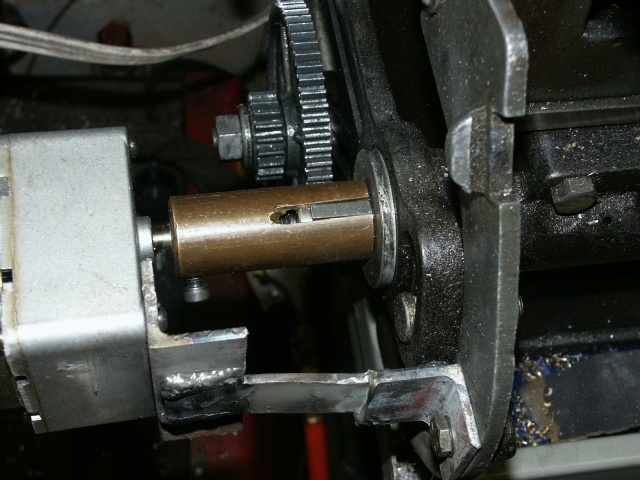 Ideally I would make one for the opposite end of the feed screw with some kind of clutch. Then I could switch between the gear and electric feeds. Would also allow the gear cover to be closed. I guess if I added and encoder I could do CNC with it. I made a small variable power supply, 2-24V at about an amp. The motor takes less than 1/4 amp. So now I have a knob for and adjustable feed speed. It is silent and no messing with gears. 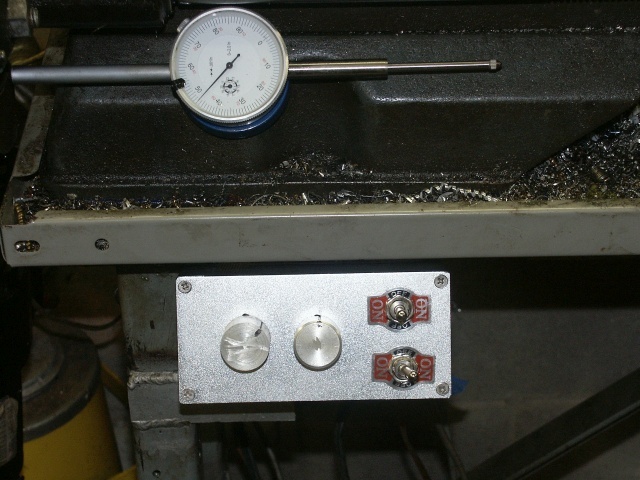 I now have a box mounted under the lathe with a forward/reverse switch for the spindle and a control for the spindle speed (through a VFD.) It also has a reversing switch and pot for the power feed. Left knob is feed speed. Right knob is spindle RPM. Top switch is direction, center off. Bottom switch is feed direction.